Still recovering from the deluge of data from your latest annual review? Strap in because we're about to cover the A to Z of pulse surveys. We investigate how technology is paving the way for affordable and accessible employee health cover – for any business. Check out how Perkbox Medical could help you reduce absenteeism while improving in employee wellbeing today. Perkbox undertook a survey of 1,000 UK employees to reveal the true extent of workplace generosity at Christmas. Based on lessons from our most-loved fictional characters, hear what makes a brilliant leader, and how can you implement effective leadership and management skills across your organisation. The Great Perk Search: Which employee benefits are best for your business? The Great Perk Search surveyed 2315 working adults to determine the top workplace perks and benefits desired by employees in the UK. It set out to separate the gimmicks from the gold dust, and advise businesses on the perks worth investing in. Wellness is HR’s new watchword. 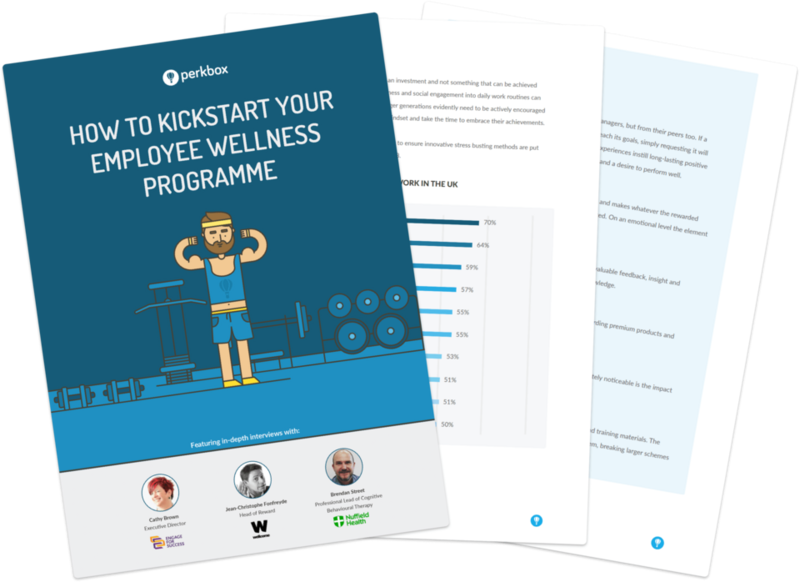 Download to discover why your organisation should implement an employee wellness programme. Discover key statistics about the state of employee disengagement in the workplace. Is Your Workplace Brexit Ready? This interactive blog post provides a realistic overview of the bombshell that is Brexit and the key role HR will play, including specific insight from various industries including manufacturing, retail and hospitality. The second part of this interactive blog post series focuses on how organisations can boost employee engagement through real-time performance feedback. We caught up with Nebel Crowhurst, Head of Talent and Development at River Island to understand how the retail giant supports a feedback-friendly culture, and how you can too. Asking the right business questions is HR's first step to becoming a strategic partner. This article will show you what questions to ask when.